The city of Kirkuk and Tuz Khurmato witnessed widespread displacement after civilians received death threats to leave their towns within two days, forcing civilian families to flee to Erbil and Sulaymaniyah. On October 18, only three days after government troops and militias of the Popular Mobilization entered Krikuk, more than 61,200 people were displaced, most of whom are Kurds. Euro-Med points out that the number of displaced people reached over 107,000 as of October 23, and the number is increasing as the clashes between parties to the conflict continues. 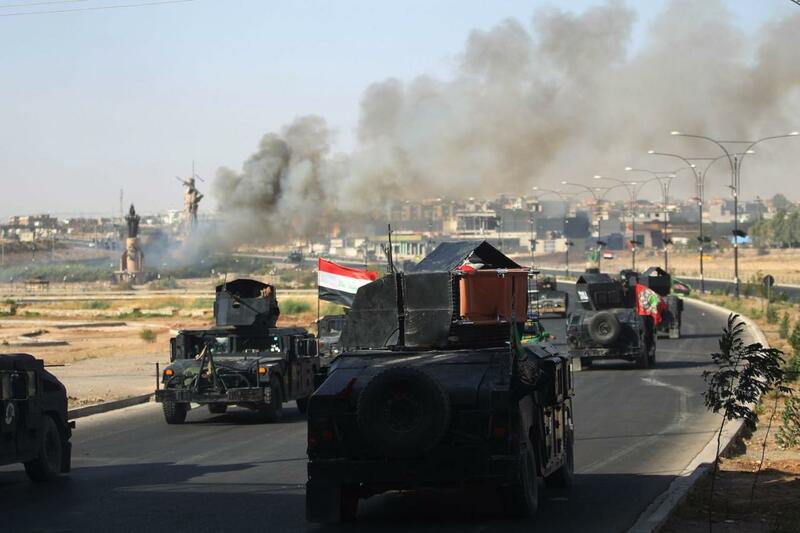 Since October 1, 400 civilians were killed in Kirkuk and 150-200 in Tuz khurmatu, as a result of the attacks of the Popular Mobilization militias. On the other side, 84 of the Popular Mobilization militants were killed. The military operations in these cities were accompanied by a large wave of arrests. 50 civilians were arrested in the neighborhood of Rahimawa in Kirkuk without arrest warrants by any judicial body. Moreover, the Popular Mobilization militias kidnapped a number of imams and preachers during an incursion carried out in coordination with the joint government forces. On October 19, government forces forcibly displaced civilians, destroyed and looted houses and businesses in Kirkuk. Though protests were held in the district of Khanaqin in the Diyala province, the Popular Mobilizations forces and the Iraqi Federal Police dispersed demonstrators by force, killing Mohammed Nouri Dushmaji and injuring 24 others. "Civilian populations must never pay for conflicts among armed forces. All parties must resort to peaceful means to settle their disputes," said Sandra Owen, Euro-Med's spokeswoman who stresses the right to protection and security for the internally displaced. local Iraqi sources have reported that there are now shortlists of civilians and former officers to be executed, the latest of which was the killing of former army officer Yassin Mohammed Abdullah on October 20, by the militias of the Popular Mobilization and the Revolutionary Guard of Iran. Euro-Med calls on the United Nations and international organizations to act quickly against the dangers resulting from tensions in the Kurdish region, and spare the civilian population the horror of armed conflict. Euro-Med also calls on all armed parties to withdraw their military reinforcements and stop the approach of Iraqi forces and militias to Kirkuk, which has been controlled by Kurdish forces since 2014 for the purpose of avoiding another escalation that may engulf the entire region in another conflict.